The idea of a spinal injury rehabilitation centre in Nepal emerged after Kanak Mani Dixit, journalist, writer and civil rights activists, fell down a cliffside and suffered from a spinal cord injury while trekking around the Annapurna Region in August 2001. Fortunately, he managed to recover completely over the course of the next year. Dixit’s experience exposed him, his friends and family to the severe lack of facilities for rehabilitating the victims of spinal injury. The majority of victims were injured while carrying out livelihood activities, such as cutting grass on cliffsides and fodder from high branches. In late 2001, the friends and family came together to start the Spinal Injury Sangha Nepal, a non-profit organisation registered with the Social Welfare Council of Nepal (Regd. No. 15354). The Sangha decided that a rehabilitation facility was most urgent. It was important to have a custom built facility for our centre. We sought a place which was close to a highway, for ambulance access as well as public transport for use by family attendants and visitors. It would have to be near hospitals for referrals in both directions. The new place would have to be on a south-facing flank, so that the winter sun would be able to warm sedentary bodies in a country where central heating is not available. We would also need ample space to expand, and be in a terrain that would be environmentally soothing to our rural body of patients. All these requirements were fulfilled at a 2.5 acre site located at the western end of Banepa Valley, 20 kilometers east of Kathmandu’s city centre and just beyond Bhaktapur town. The architectural contract was given to the Design Cell consultancy, and the building construction was similarly assigned to the Chitawan Construction and Engineering Company. The Mountains to Mountains organisation of Berne, Switzerland, helped with the purchase of the land. The Kadoorie Charitable Trust provided support for the first phase of construction. At the new, custom-built centre at Saanga we seek to achieve a high standard of professional competence and ability for scientific enquiry, to supplement the success already achieved in service delivery. We moved to the new purpose-built facilities in November 2008 with the human resources, enthusiasm and motivation all in place. The center is an airy, well-lit structure with lots of space for wheelchairs to move about. The view out of the windows is of the hillsides of Banepa Valley, including corn fields and pine forests. There is a courtyard to remind us of the old Jorpati facility, and a 1:18 ramp allows wheelchair residents to propel themselves, which does wonders to motivation and to general health. We are near to Banepa and several hospitals, including the Scheer Memorial, Dhulikhel Hospital and HRDC, the last serving children with disability. The centre also collaborates with the Sushma Memorial Hospital in Sankhu, Kathmandu Valley, for reconstructive surgery. We work with all hospitals which deal with back injuries, providing as we do the all-important rehabilitation services that is so important. For the first three years, the Spinal Center was housed in the main floor. 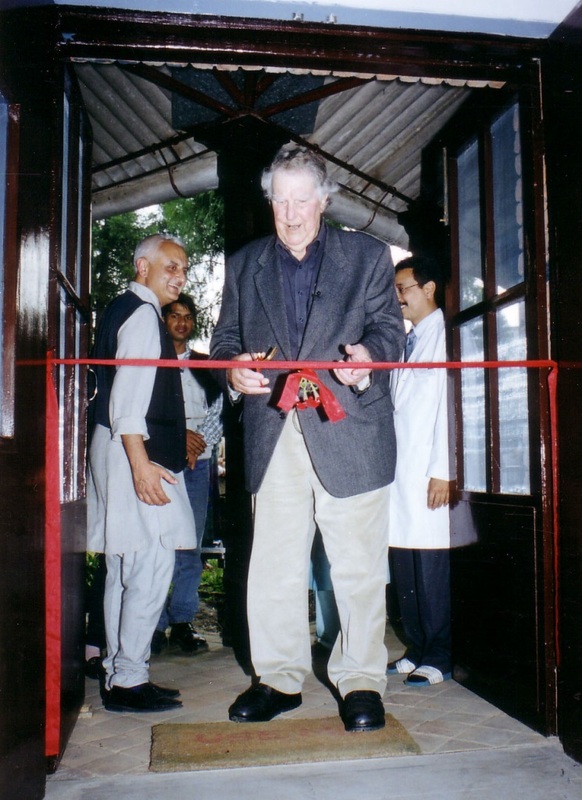 In 2001, with support from the Government of Nepal, the Spinal Center is building a Therapy Unit on the ground floor. While the Spinal Centre has served the victims of ‘traditional injuries’ resulting from fall from trees or cliffs, there has been a sudden rise in ‘modern-day accidents’ dealing with highway disasters, as well as construction, industrial and mining accidents. The rise in highway accidents in particularly has been dramatic. All of which has prompted the staff of the Spinal Center to work extended hours to serve the patients. In the autumn of 2011, with the unabated rise in number of patients, the Spinal Center Board decided to raise the number beds from 39 to 51. This meant a financial burden that would have to be overcome with an even more energetic fund-raising drive than in the past. The Spinal Center is run entirely on voluntary support, which is why the Board and staff are constantly seeking innovative ways to raise funds, which has included an annual gold tournament, celebrity shows, theatre, an annually electric vehicle rally, and international fund-raising rides in the 1973 Volkswagen Beetle which has made it to Dhaka twice, and in November 2011 goes from Kathmandu all the way to Peshawar via Delhi.